Princess Charlotte may be three years old, but the toddler is already an icon. Worth an estimated 4.3 billion dollars to the British economy, it’s Charlotte’s confidence, charisma, and joie de vivre that make her so fascinating, even inspiring! We grown ups could probably learn a thing or two about life from this little princess. So, in the spirit of self-improvement, please enjoy this list of five times Charlotte Cambridge was everyone’s role model. When mum and dad took the tot on a goodwill mission to Germany during the summer of 2017, Charlotte was not content to look cute on the sidelines. Oh no! Charlotte insisted on greeting – and shaking hands with – the dignitaries who’d come to meet the Duke and Duchess of Cambridge. When it comes to handshaking, Charlotte is determined to put in the ten thousand hours Malcolm Gladwell says are necessary to become genius-level at something. This kid has already has an impressive work ethic, and it’s obvious she’s committed to her royal role. When it comes to The Royal Family, the future is most definitely female. As an added bonus, Charlotte is an expert waver, too. Charlotte understands the importance of mentoring her juniors. 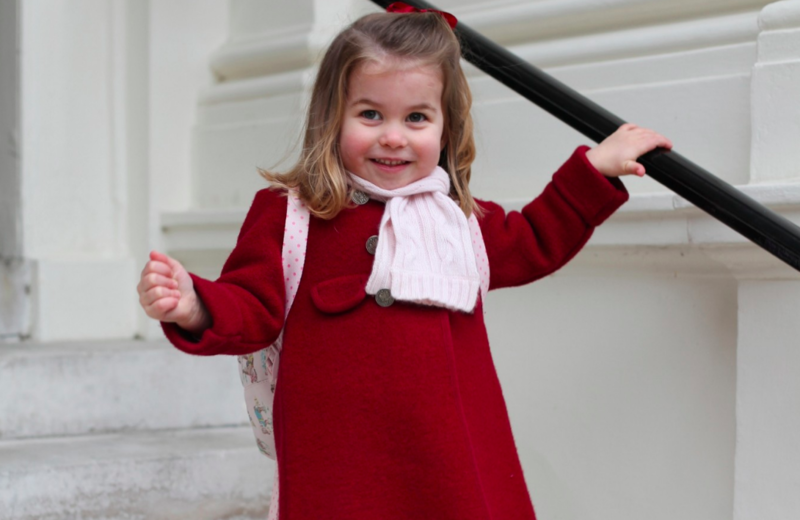 She is technically still a preschooler, but Charlotte’s already supporting little brother Louis as he adjusts to life as a royal baby. She held the infant prince’s hand at one of his first royal photo shoots. We’re sure that sign of affection helped her assure her baby bro that big sis Charlotte will always be by his side. Princess Charlotte doesn’t care about silly concepts like decorum. Nor does she give a hoot about antiquated ideas of what it means to be “polite.” When she wants to do a somersault, she’ll do a somersault, even while wearing ballet flats and a sun dress. Recently, Charlotte showed off her gymnastic skills while taking in a polo match with her mum and big brother, George. Judging by the delighted expression on the Duchess of Cambridge’s face, her daughter’s charming antics were a hit. Who cares about body-shaming, sexist constructs that argue it’s not “ladylike” to engage in acrobatics while wearing a skirt? Charlotte is already a feminist change-maker. Maybe Aunt Meghan Markle will bring C. along the next time she gives a feminist address to the United Nations? Who says one has to risk getting cold just to look cute? Not Charlotte Cambridge! We must say, Charlotte is bringing cardigans back in a big way. Her extensive sweater collection is the envy of any woman who rocks a lot of knits. Quite the fashion influencer, the yellow cardi Charlotte wore in her second birthday portrait soon sold out. Charlotte fans have also observed the little princess favours button-ups over pullovers. It appears you – literally – cannot pull the wool over her eyes. Keep on living your best life, princess!